While shading is simply the result of the change in direction of the carpet pile due to pressure from footsteps and vacuuming, color fading is more serious. Color fading of carpet occurs when particles of oily soil deposited on carpet fibers cause gradual but significant dulling of colors — the color is not lost, but hidden under the film. 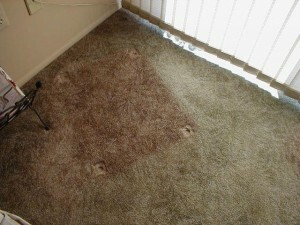 Cleaning your carpet regularly will help avoid color fading.